Fishy was a betta...bright, beautiful, and blue. He lived in a little, round fishbowl with a 360-degree view. The water was always clear and clean and every day the food came from above. That was in the beginning. Only rarely, but then it became more often, the food didn't arrive, and Fishy had to wait. Fishy got to thinking. There would be food several—three, four, even as many as ten or eleven—days in a row, then one day it wouldn't come. There was no pattern. Then there were periods when the food wouldn't show up for days at a time. It was completely random. Fishy started to pay closer attention to the world outside the fishbowl. He'd become good at judging the passage of time from the changes in lighting. That was how he'd come to count the days in the first place. But then he began to watch for movements. 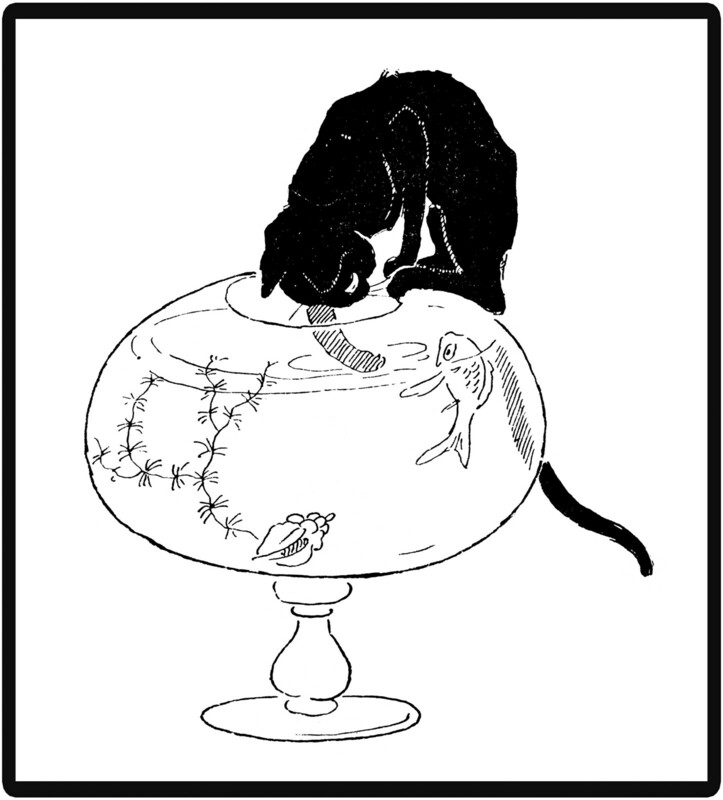 There was the cat, but it didn't matter as long as it kept its paws out of the fishbowl. There was also the person, a large dark shadow who used to stop and look in but now zipped past. Something had changed. Something about the food. He wondered what had brought about the change and why it had to be that way. He became anxious and sad. One morning he awoke and looked up to find a pellet on the surface. Starving from a week without food he quickly swam to the top and gobbled it down. He became hopeful again. The next morning he surveyed the surface from his perch on the bottom but there was no food. He waited anyway. Nothing came. He gave it one more day. Another day. And another. Then one day a morsel appeared. How to make sense of this. Once the food had been as regular as clockwork. Then it became unpredictable and finally it disappeared altogether. And suddenly, out of the blue it had returned again. He reset his internal clock so that he could be awake and see when the food came. He woke up earlier and earlier but never could catch the moment when it was dropped into the fishbowl. In the meantime, he tried to enjoy it when it came and not worry about when it would come again. But that was easier said than done. As soon as he swallowed one piece of food, he started thinking about the next one. The pleasure was fleeting, and even with all the mental energy he could summon, he couldn't prolong it. For days and weeks he lived in anticipation. Fishy was sad, though on the bright side, he was wasn't going hungry as often AND he had begun to acquire knowledge.